The land is our life source, whether we eat, drink, breathe, observe, exercise, or meditate. To conserve our shared landscape, it takes all of us, each finding our individual ways to contribute. Saratoga PLAN cherishes its supporters and partners, recognizing that our community is who “we” are. Conservation of fertile farmland, life-sustaining waters, nurturing habitats, and countywide trail systems would not be possible without you. 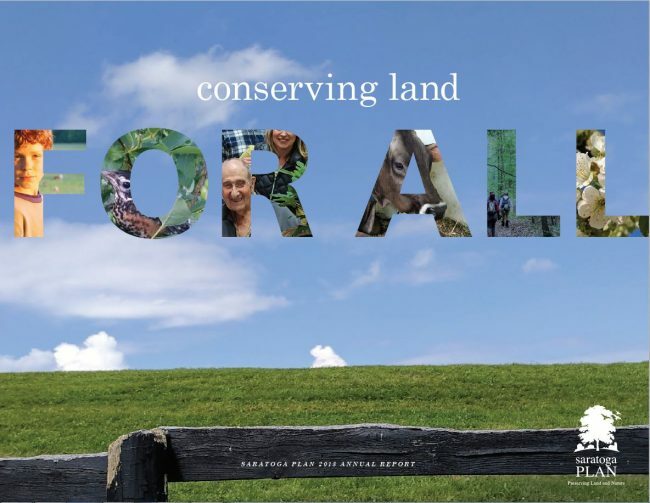 As you enjoy PLAN’s 2018 Annual Report, “Conserving Land for All,” we hope you’ll recognize your role in making it possible – by all, for all. Thank you.